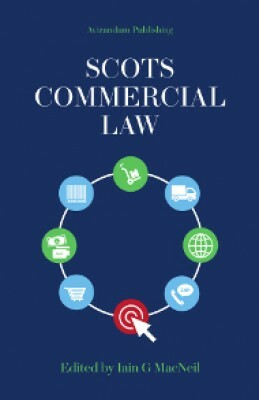 Scots Commercial Law is a clear and up-to-date text for students of commercial law and business law in Scotland. The book is a collaborative venture from the Law School at the University of Glasgow, with each chapter being written by an author with particular expertise in that subject matter. Part I of the book puts the subject in context with chapters on Juristic Persons; General Principles of Contract; General Principles of Property. The book has been written by a team of authors from the Law School at the University of Glasgow, together with Ross Anderson, Advocate, and Lindy Patterson QC.